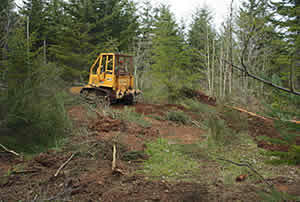 New construction often requires an Environmental Wildlife Survey or an Endangered Species Survey to be completed before the land is cleared and any structures built. Requirements will vary based on the endangered species that may be located in your area. The Indiana Bat is an example of an endangered species that is protected by these very important surveys. Depending on what type of survey you require, there may be time constraints as to when it can be completed. For example, with Indiana Bat Surveys, they can only be completed when the bats are active at certain times of the year. The same would apply if you were going to build in an area with an endangered snake population. Our Wildlife Biologists have the ability to perform these surveys and provide reporting for your organization. Protecting nature is one of the valuable services we provide for Environmental Wildlife and Endangered Species Surveys.